张积家, 王娟, 刘鸣(2011).英文词、汉字词、早期文字和图画的认知加工比较. 心理学报, 43 (4): 347-363. 张霞, 刘鸣（2009）. 视觉表象操作加工的眼动实验研究. 心理学报, 41 (4): 305-315. 刘鸣（1993）. 汉字分解组合的表象操作与汉字字形学习的关系. 心理学报, 25(3): 241-249. 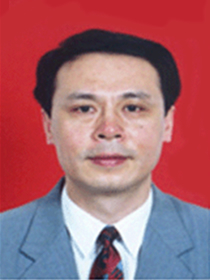 B Liang, D Zhang, X Peng, Y Wang, Z Wang, Q Sun, M Liu(2013). Top-down modulation of the primary visual cortex in resting state: a multivariate linear analysis, Annual meeting of Human Brain Mapping, Jun.2013, No. 2011, Seattle, USA. Huang Huang, Ronghao Yu, Qiuyou Xie, Bin Wang, Shufang Chu, Junjing Wang, Delong Zhang, Fangfang He, Ming Liu(2013). Effect of the Hyperbaric Oxygen on ReHo in resting fMRI: a placebo-controlled study, nnual Meeting of the Organization for Hum Brain Mapp, Jun.2013, No.1529, Seattle, USA.